Rather than spend time on campus, Anthony has earned the right to be employed while at Woodward Academy. He works at Madrid Home, a local assisted living environment for the elderly. This is not just any job, it was one that will help prepare him for the future. Anthony earned his Hi-SET high school equivalent in the fall of 2018. Shortly after that, he applied for an opening at the Madrid Home. It was an entry level position where he worked as an assistant to the staff there; passing out snacks, playing games, and just spending time with the residents. This part of the job was not Anthony’s favorite but he found it rewarding. He found that he wanted more out of his job and asked how to advance. His boss told Anthony to study to receive his CNA. The Madrid Home offered free classes and paid for Anthony to take his test. 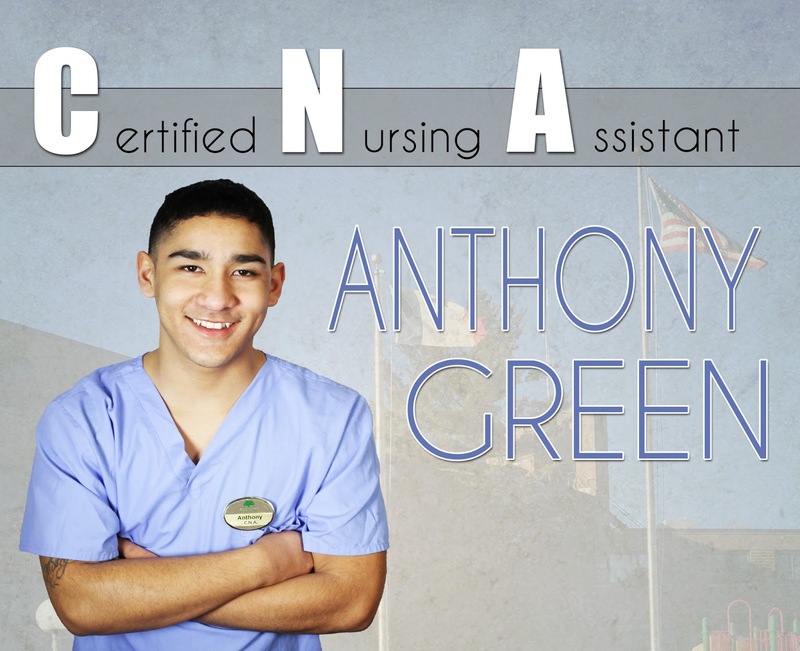 After three months of classes, Anthony earned his CNA from DMACC in Ankeny, IA. Anthony stated, “It means a lot to me that I have the opportunity to go off campus for 12 hours a day and am given the chance to conduct myself like a young man. I wanted to be more involved so I pushed myself to receive my CNA. I could see that residents there wanted someone to take care of them and I wanted to make a difference. Being a CNA allows me to have more resposibility and to provide more care for the residents. My favorite part of my job is building realtionships with them and hearing their stories from their past. I have learned a lot from them and their advice has helped me to view life differently. Hearing stories from when they were my age has made me realize that I want to help people instead of be selfish like I was in the past. The best advice one resident gave me is to understand that life is bigger than myself. I need to make something of myself and want more for myself than a life of crime. When I leave the Academy I have plans to continue to work as a CNA and go on to receive my LPN. Being given this opportunity has helped me to decide a future for myself, instead of having my future decided for me.” Anthony is a great example of taking an opportunity and making it his own. He was given the chance to apply for this job, and once he was accepted and experienced what it takes to work in this field, his dreams unfolded in front of him. He was not simply content with this current, entry level role, and took the initiative to change his situation for the better. He worked hard at his job, did what was asked and expected of him, he never complained, and formed a positive relationship with his supervisor. Once he established that he was a trustworthy and honest worker, he earned the opportunity to further his career and become a Certified Nursing Assistant. This allowed him to earn money while bettering himself. This opportunity has helped Anthony to plan for his future and has given him a direction to go when he goes home. GO KNIGHTS!